Everyone knows someone who life was affected by breast cancer. 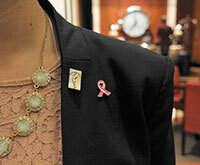 Kick complacency to the curb and create a campaign with Susan G. Komen NYC. We will help you create a fundraiser to celebrate a special occasion, honor a friend, host an event or simply help women and families in our community. It's the little moments that make life big. You can save a life. You can create more moments. Start your fundraiser today, and your efforts will fund local programs to give women the life-saving services they need, and fund research to find the cures. Thinking pink? 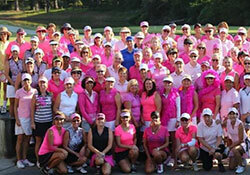 Your business, organization, community group, or school can host an event or program to benefit Komen Greater NYC. Check out a few ideas! Luckily, we receive oodles of applications for October events, so please apply as early as possible for the maximum help from Team Komen! 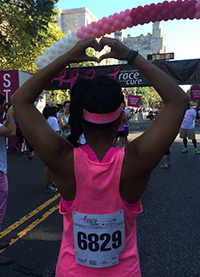 Komen Greater NYC is grateful for opportunities to work with community organizations and individuals who wish to hold fundraisers to help us fulfill our promise to save lives and end breast cancer forever. 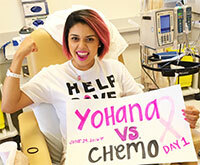 If you have any questions please contact Alyssa Zahakos, Development Manager, at azahakos@komennyc.org or 646-380-0238.